The Piano Technicians Guild Foundation (PTGF) was established in 1982 to support the mission of the Piano Technicians Guild through charitable, historical, scientific and educational programs. The PTGF maintains the Steve Jellen Memorial Library. This library and historical archives are preserved for reference and research and are available to everyone who visits the PTG Home Office. The PTG Foundation sponsors scholarships for Associate members of PTG to help them advance their education. The scholarship pays for registration at the annual convention and the cost of the last exam necessary to complete their Registered Piano Technician certification. If you are interested in applying for a scholarship or seeing a list of past recipients, go to Associate Scholarships. Since 1982, the PTG Foundation has given an annual scholarship to members of the Music Teachers National Association. This scholarship is presented to a certified piano teacher for advanced studies. The Music Teachers National Association has a standing committee to select the recipient for the Foundation scholarship. To see a list of past recipients, MTNA Scholarships. The PTG Foundation established a Disaster Relief Fund immediately following the Katrina disaster in New Orleans. The Disaster Relief Fund is used to give aid to PTG members who are affected by natural disasters such as tornados, earthquakes, and flooding. Any member may request aid for themselves or another member by contacting the PTG Home Office at (913) 432-9975 or contact@ptgf.org. You may make a tax deductible contribution to the PTGF Disaster Relief Fund through the PTG Home Office, 4444 Forest Ave, Kansas City, KS 66106 or online at Donate. 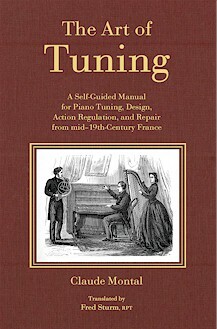 The PTG Foundation publishes books related to piano technology, including "The Art of Tuning" by Claude Montal (translated by Fred Sturm, RPT), "The Piano Action Handbook" by Randy Potter, RPT; "A History of Midwest Piano Manufacturing" by Jack Greenfield, RPT; "New Techniques for Superior Aural Tuning" by Virgil Smith, RPT; and "Longitudinal Modes in Piano Strings" by Jim Ellis, RPT. These books are available in the PTG Store and sales of these items benefit the PTG Foundation. Online store.